ExecuStay at AMLI Memorial Heights offers temporary residents luxury fully-furnished apartment homes. Residents enjoy features like fireplaces, gourmet kitchens with islands and ceramic countertops, wood floors & wine racks in kitchens, elegant crown molding, full-size washers and dryers, ceramic tile floors, garden tubs, separate showers, built-in bookshelves & computer stations, and scenic patios & balconies. Features do vary among floor plans. Other amenities include a resort-style pool and heated spa, cabana with fireplace, state-of-the-art fitness center, gourmet coffee bar, internet lounge and concierge services. 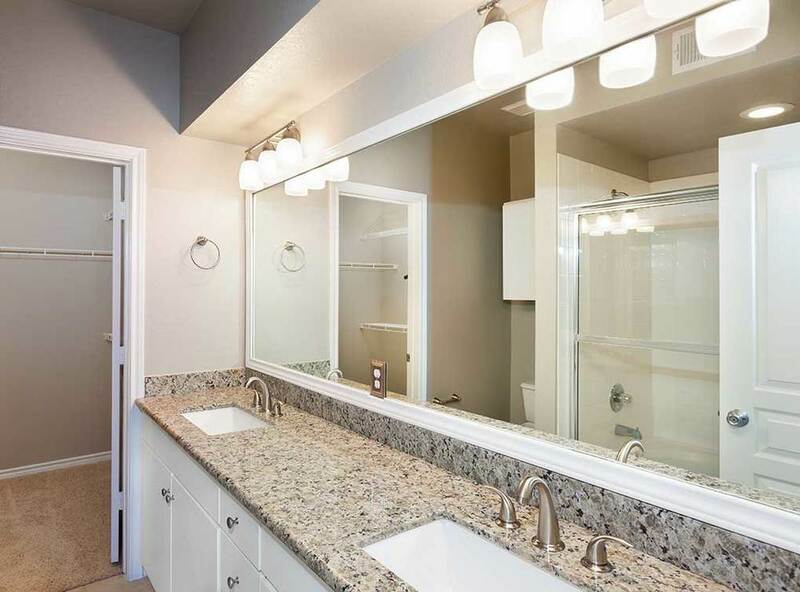 The community also offers wrought iron access gates and two parking garages with direct access. AMLI Memorial Heights is set on a Houston hilltop with spectacular skyline views. 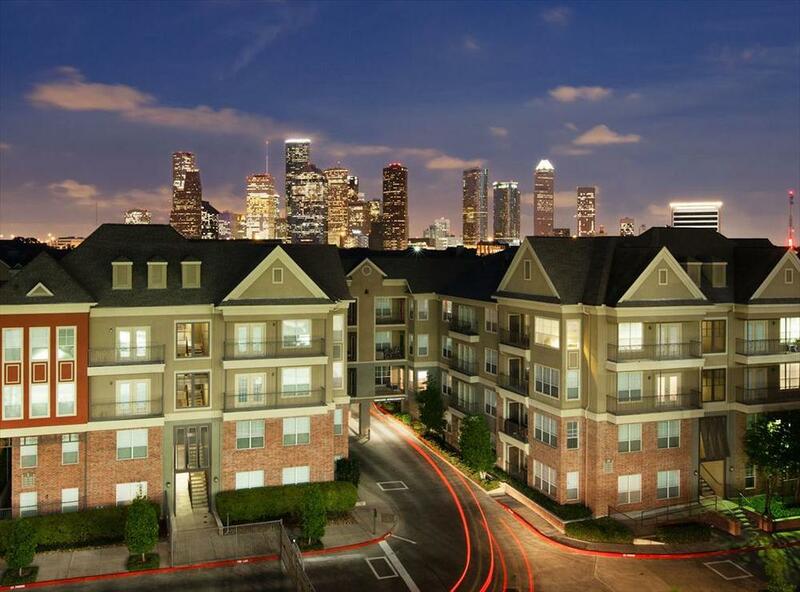 Our downtown Houston apartments are located on Studemont Street and Memorial Center, just one mile west of downtown Houston and one mile east of the 1500-acre Memorial Park. 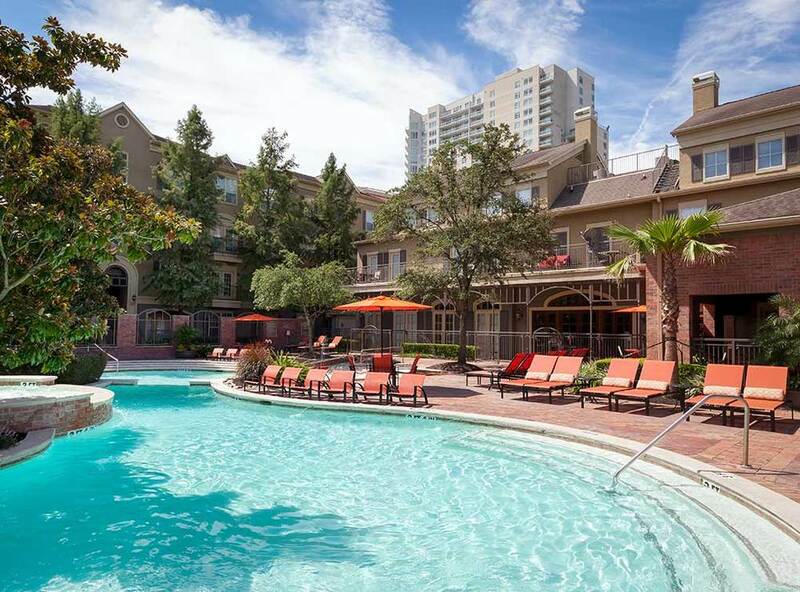 Our Washington Corridor apartments provide easy access to major thoroughfares, including I-10 and I-45, and are in close proximity to the famed Theatre District, Bayou Place, award-winning restaurants, and notable sporting venues.